Construction is a comprehensive set of non-litigious forms and precedents covering a wide range of topics relevant to the construction field including building and engineering. 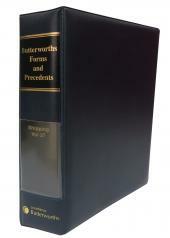 Forms and Precedents is a comprehensive set of non-litigious forms and precedents. Contracts are drafted by experts in their field. The precedents are preceded by a preliminary note to place the contracts in context and provide a legal framework. The precedents clearly indicate where information needs to be added making them easy to use and adapt. 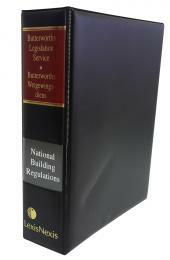 A free single online user licence accompanies the printed version of this work which allows for precedents to be easily copied and amended as required. Forms are reproduced from relevant legislation and checklists are included where appropriate.